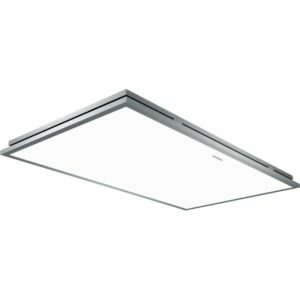 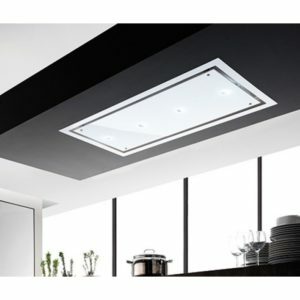 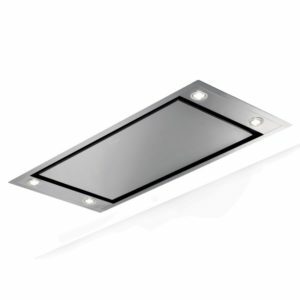 This built in ceiling extractor from Miele is 110cm wide, finished in stainless steel and has an extraction rate of 740m³ per hour. 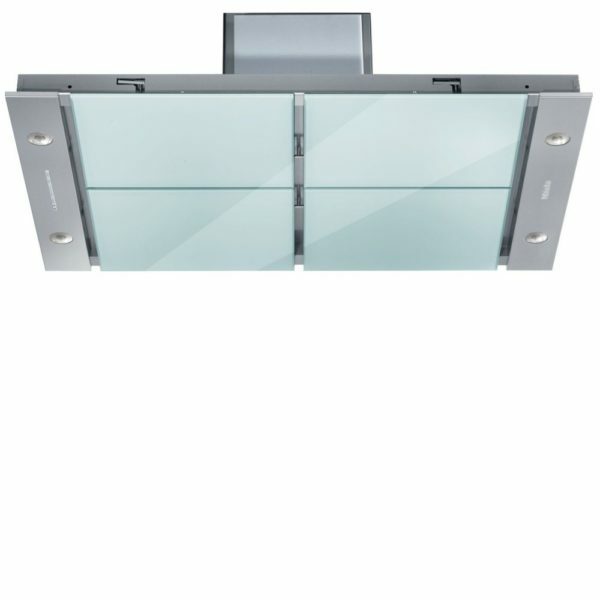 There are two different looks available using the optional four piece panel set, you could opt for either stainless steel or glass. 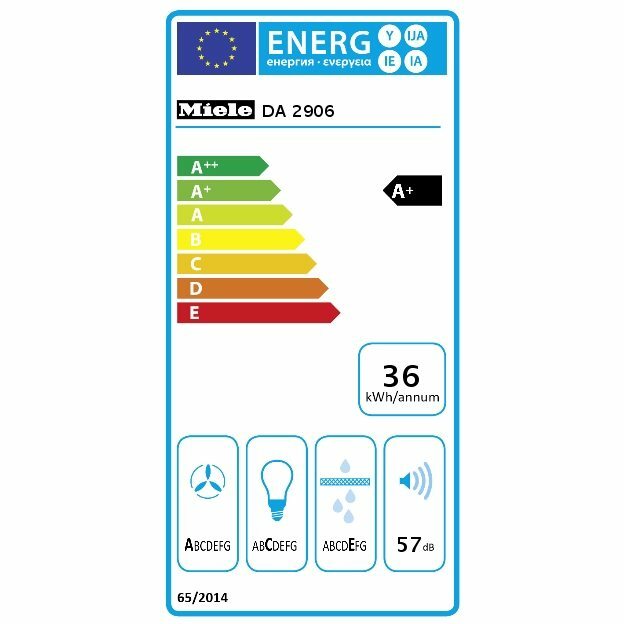 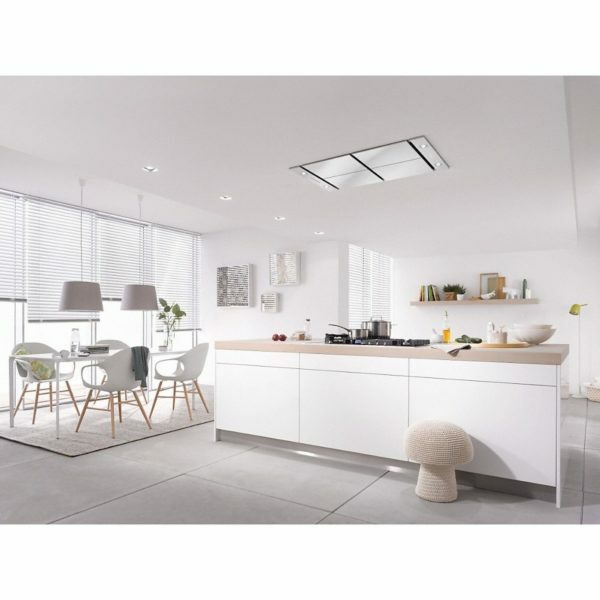 There are four powerful LED lamps which can be dimmed to suit the mood in your kitchen. 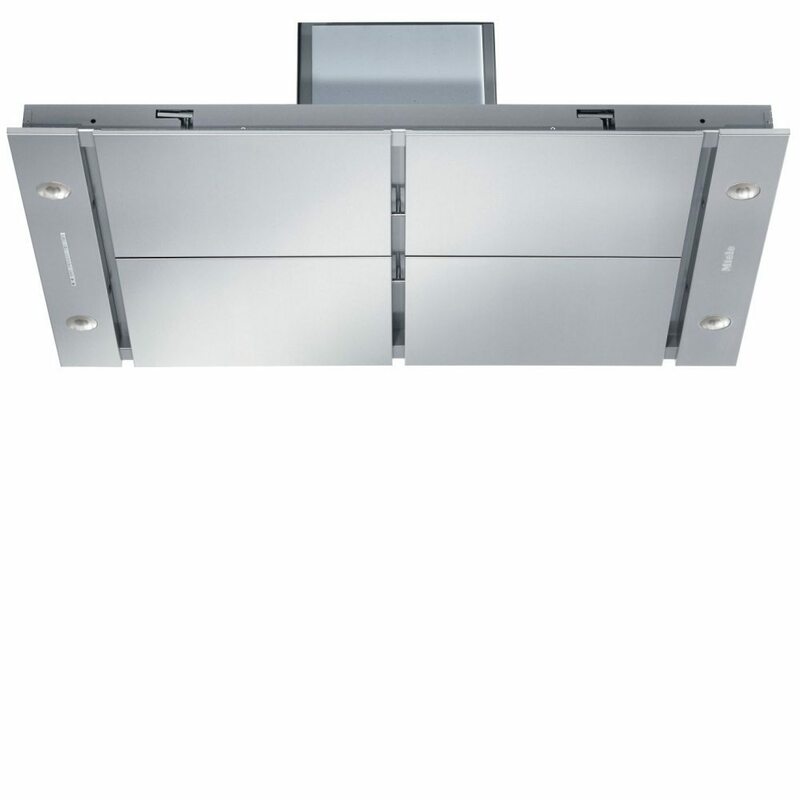 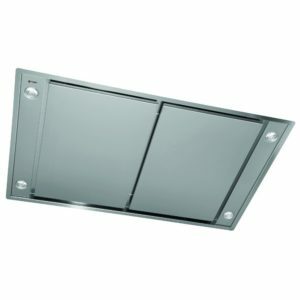 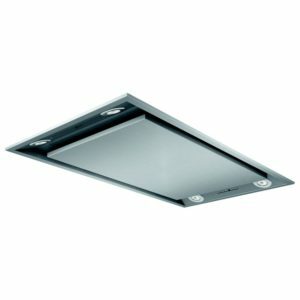 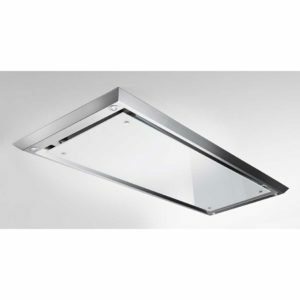 This extractor is designed for ducted extraction.